Currently NOT Blooming. Lime green and fire red - stunning! 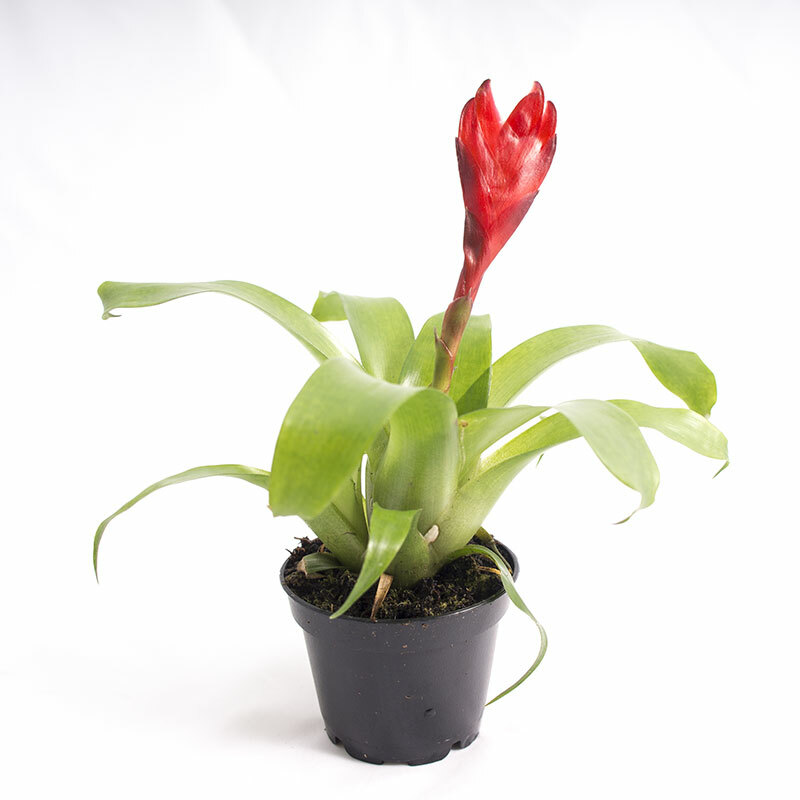 Vriesea Christiane is a gorgeous bromeliad to grow indoors out outdoors in warm humid climates. I prefers medium to low light. Pale green or yellowish foliage indicates too much light, while droopy, dark green foliage is a sign that the plant needs more light. Water every week to every other week depending on humidity. Can grow large, 18 + inches. Readily reproduces from pup or offsets.